Since Iran has been thoroughly eliminated from the competition, and the U.S. has safely passed to the next round, I have through the weekend to watch some good soccer without worrying about the fate of my nations. And that means more time to wonder what happens to all the World Cup trash. This piece on Brazilian catadores sorting tourist trash for recyclable materials warmed by heart. 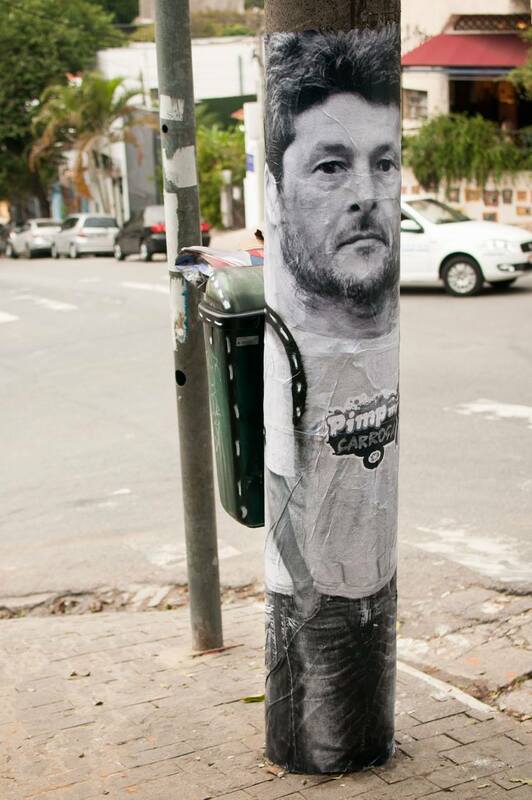 Even more fascinating, however, is the Pimp My Carroça project, which I discovered via this fabulous CityLab article about street artists making trash cans look like backpacks worn by squat men. From what I can gather, the name translates roughly as “pimp my trash cart” and involves raising the visibility of Brazil’s trash pickers and the challenges they face using creative art projects. Both the first article and the art collective note that Brazil boasts one of the world’s highest rates of can recycling, thanks in large part to the catadores. To tell the story of this community, French filmmaker Rémi Pinaud (in collaboration with Pimp My Carroça) hopes to complete his project O Cafofo, or The Castle, a fictional film about a trash picker and his two daughters whose home in a high rise housing project in São Paulo comes under threat when the city starts “cleaning up” to host the World Cup. You can support the project here. This entry was posted on Friday, June 27, 2014 at 6:39 am and is filed under Artistic Trash, TRA$H, Trash Politics. You can follow any responses to this entry through the RSS 2.0 feed. You can leave a response, or trackback from your own site.